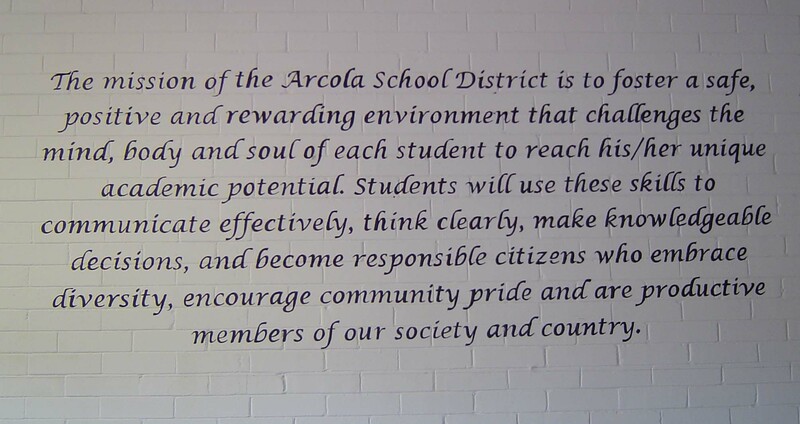 As part of the Trophy Case project, the Arcola Alumni Association assisted financially in establishing the "Academic Wall" to recognize the scholastic achievements of Arcola High School students. It is located in the hall inside the main (south) entrance to the school. Steve Williams - head of maintenance - responsible for the idea and the installation of the lighting of the wall and for the mounting of the plaques. 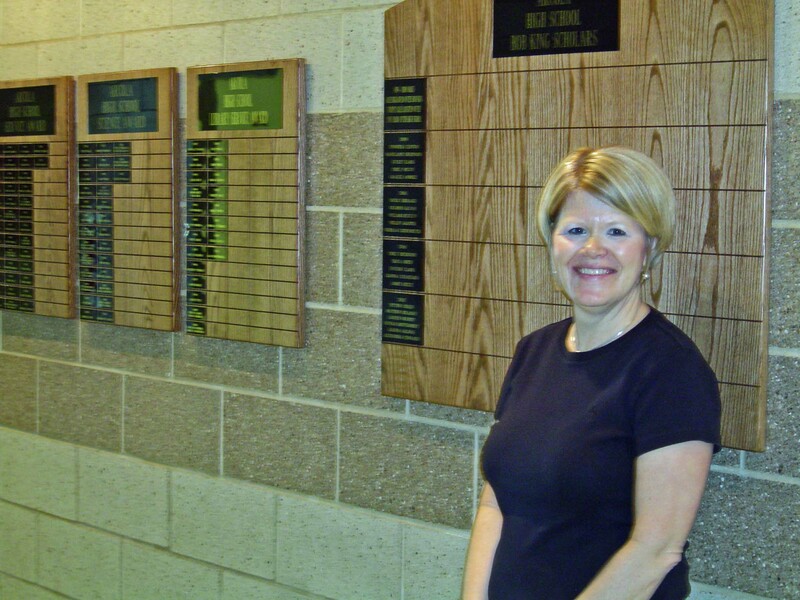 Lisa Sigrist - Jr. High/High School Principal - responsible for the idea of the "Academic Wall". Nancy (Herrington) Mathias (Class of 1971) - Jr. High/High School Secretary - responsible for perfecting the idea of the "Academic Wall". Tony Snyder (Class of 2007) - maintenance - helped in the installation of the lights and the mounting of the plaques. 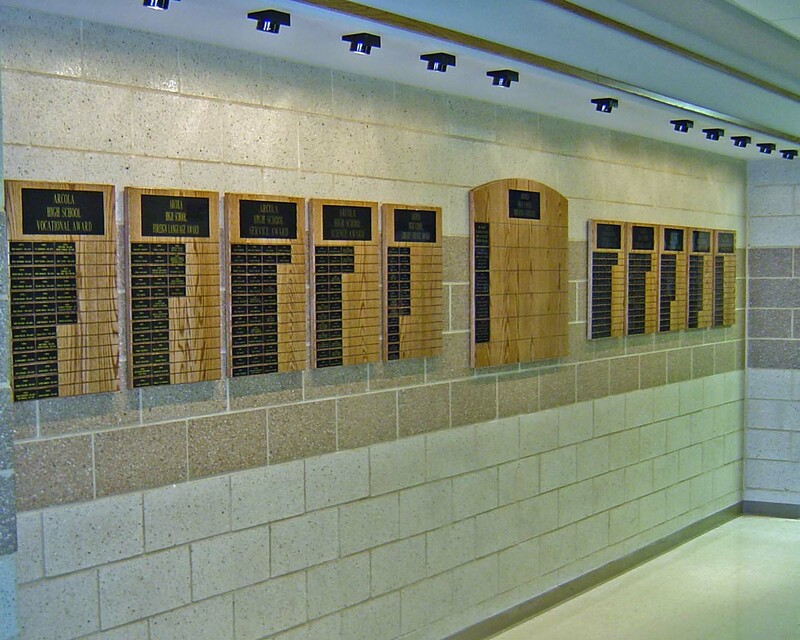 Not Pictured: Kenneth Hostetler of Ervin's Cabinet Shop, and former student at Arcola, made the plaques. Our elementary art teacher, Alex Lugo, painted this on the wall outside the superintendant's office. and then came up with this final mission statement.